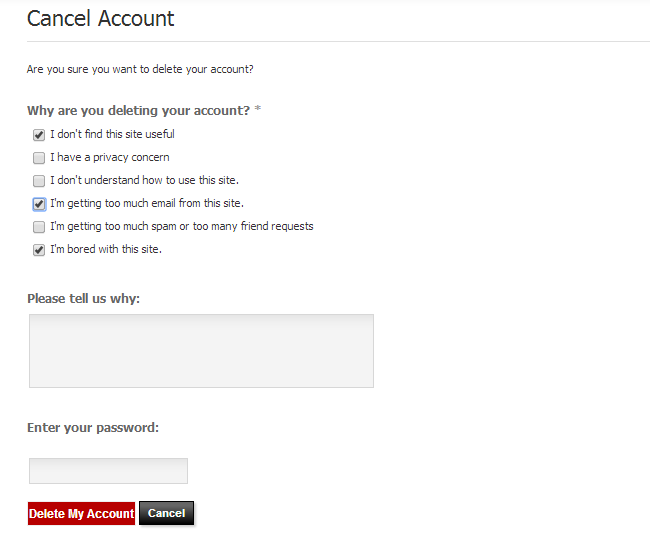 When a user decides to cancel his account on your PHPFox website, there is a list of pre-defined reasons for that. The user can choose from them at the time of the cancellation. Now, it is always a bad moment when users are leaving your website. However, this process can provide valuable information on what you should work on in order to improve your website and avoid such cancellations in the future. There is a set of pre-defined cancellation reasons, which are available on your website with a default PHPFox installation. Access your website as administrator and then click on the AdminCP button at the top-right corner. Select the Users tab from the main menu and then User Cancellation > Manage Options. Click on the Arrow drop-down button next to the cancellation reason that you wish to edit. Click on the Edit Reason button after that. Once you edit the reason, simply click on the Submit button to keep the changes. Select the Users tab from the main menu and then User Cancellation > Add Options. Product: Choose the Core product from the drop-down box. Module: Choose the User module. Cancellation Reason: Enter the reason for cancellation. Is Active: Set the new reason as active or not. 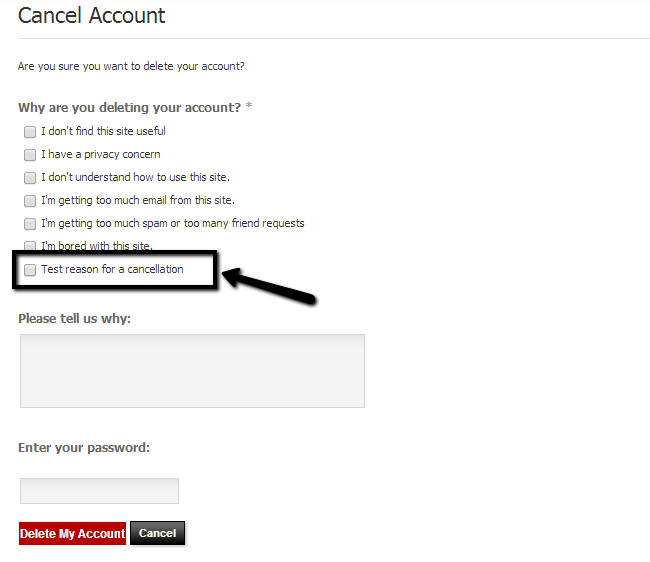 Click on the Submit button to create the new cancellation reason. For the purpose of this tutorial, here is a screenshot of the front-end of our website so you can see the new test cancellation option and how it looks on the actual website.